I’m servin’ up a couple of hot trend trade opportunities on USD/CAD and USD/CHF today, brothas! Get ’em while they’re hot! USD/CHF is stuck in what looks like a range/rectangle after falling sharply from parity levels. 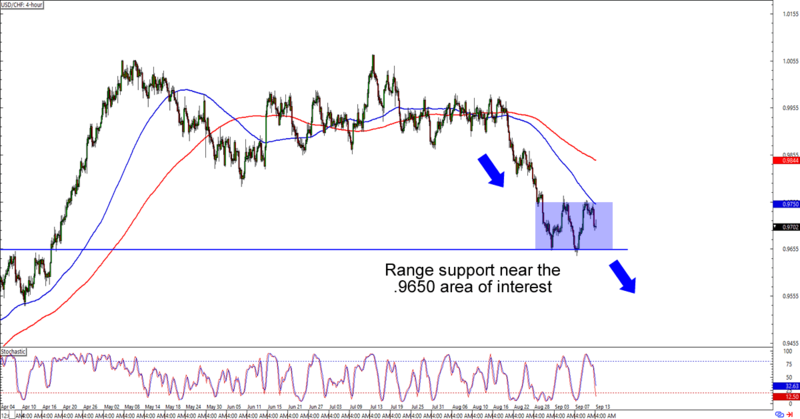 The .9650 psychological handle is an area to watch, since a break below the range support and previous area of interest could drag USD/CHF to the .9450 levels. On the other hand, a break above the .9750 range resistance and 100 SMA levels could push the pair back to its .9850 previous support. 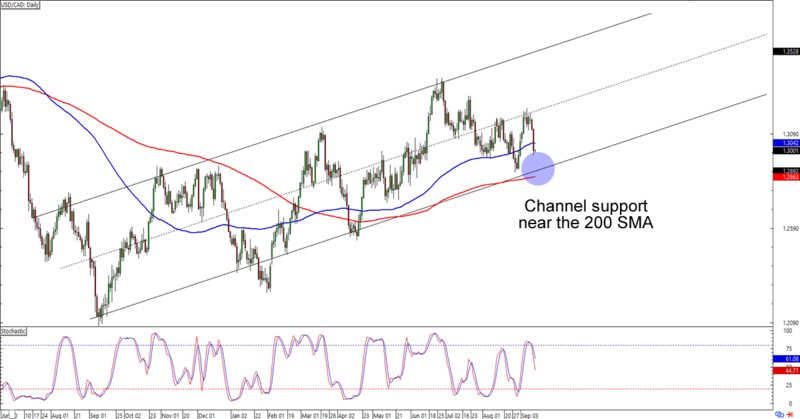 Which way do you think USD/CHF will go? After encountering resistance at the 1.3175 handle, USD/CAD is now back to testing the 1.3000 major psychological level. Will we see it drop back down to 1.2850? As you can see, the level is right smack at the 200 SMA area AND a channel support that hasn’t been broken since September last year. USD/CAD doesn’t look like it’s done with the selloff just yet, so y’all still have time to whip up trading plans if you’re trading this setup.